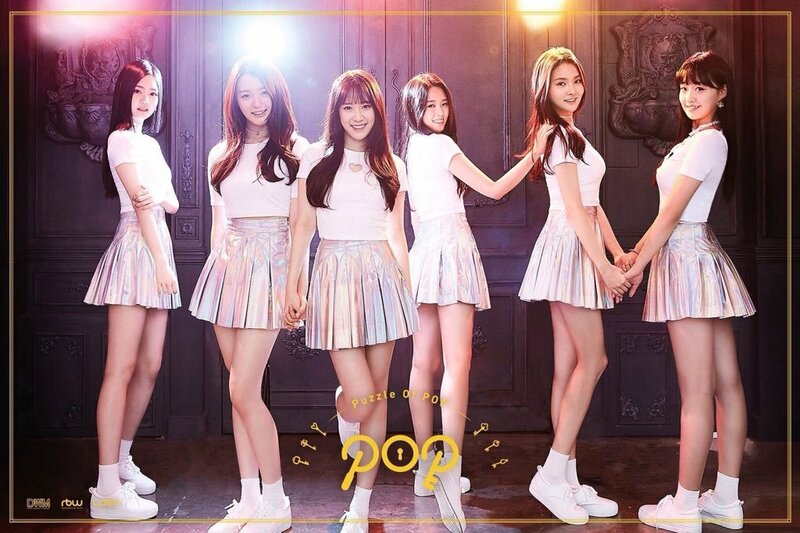 P.O.P (피오피) is a 5-member South Korean girl group under DWM Entertainment. They were trained under RBW Entertainment, so they are often confused as an RBW girl group. 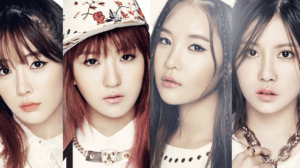 The group currently consists of Haeri, Ahyung, Miso, Yeonjoo, and Seol. In 2017, Yeonhwa officially left the group due to health issues. P.O.P officially debuted on July 26, 2017. – Her older sister is Yujin, a former Brave Girls member. – Her nicknames are Haeri Potter, Reri, Riri, Witch, Hel, and Egg (because of her soft, white skin). – She was a trainee for 6 years. – She is a former CUBE trainee and trained with the members of CLC. – She is also a former LOEN trainee before becoming a CUBE trainee. – She is friends with BLACKPINK‘s Jennie, Melody Day‘s Chahee, Hashtag‘s Dajeong, former GP Basic’s Ament, and former GI’s Eunji. – She knew Miso before she came to RBW/DWM. – Haeri and Miso did a cover of BTS‘s “I NEED U“. – She was featured in MV for campaign “Daring” and in VROMANCE “She”. – Her hobbies are singing and playing the guitar. 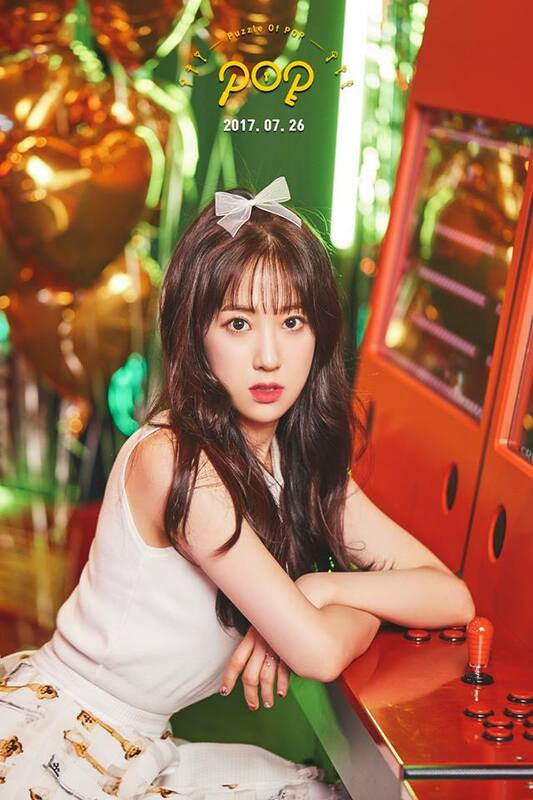 – She is good at playing claw machines and mimicking. – She likes to bite her lips when she is nervous. – She is bright and energetic (Makestar project). – She participated in auditions for “Idolmaster Korea”, survival show, the winners created group Real Girls Project and the drama Idolmaster. – She shares a room with Yeonjoo and Miso. – Her role model is Girls’ Generation‘s Taeyeon. – Her birthplace is Jeonnam, Gwangju, South Korea and later moved to Incheon. 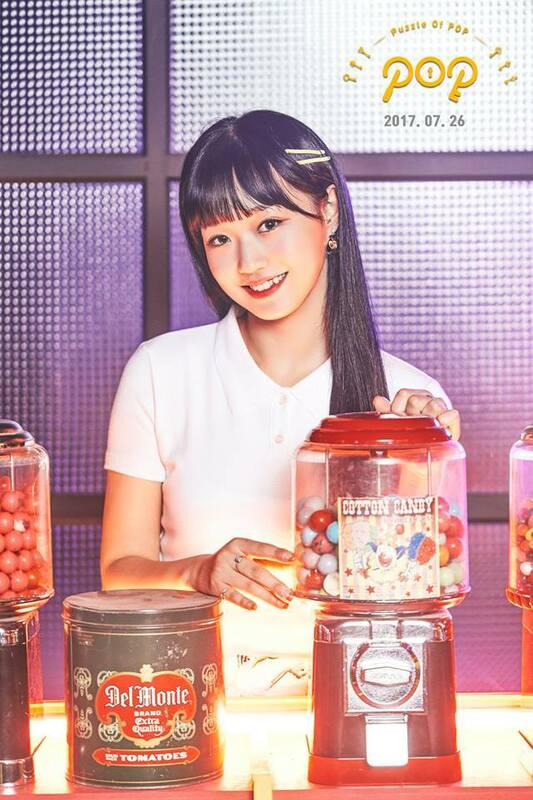 – She has 3 older sisters, 2, 4 and 5 years older, the oldest one’s name is Saerom. – Her nicknames are Number One, Mama, AhyoungMama, Michael, Hyungjumma, Arong, and Aneunheyonnim. – She is the oldest unnie in the group. – She has 4th dan of black belt in taekwondo. – She is good at imitating Yeonjoo. – She does gymnastics, squash, yoga and she is good at rope jumping. – She is great at math, she remembers the Pi number to 46th decimal place, easily remembers bank accounts’ number, birthdays, telephone numbers etc. – She likes to eat a lot because she exercises a lot. – She had a difficult time when she was a trainee and wanted to quit. – She appeared in Miso’s cover of “Jason’s Song”. – She appeared in VROMANCE Special “Your Boyfriend Story”. – She appeared in a Korean YouTuber’s mukbang. – We can hear her voice in “Dear Love” of OBROJECT. – She gained attention because of her similarity to TWICE’s Tzuyu. – She always takes care of booking rooms in hotels for P.O.P. – She shares a room with Seol. – Her nicknames are Sunlight, MisoJihyun, Reaction Queen, Happy Virus, Misso, Happy Master, Dihyomi, and Carrying Happiness in P.O.P. – Some fans think she looks like Seolhyun from AOA. – She is a big fan of GFriend, she likes Sowon and wants to be tall like her. – She gains weight easily. – She likes to laugh. – She thinks that she is beautiful. – She loves dogs and has a dog called Choco. – She knew Haeri before she came to RBW/DWM. – She also participated in the auditions for “Idolmaster Korea”. – Her role models are BoA, IU, Sunmi and Ariana Grande; she wants to be close with Sunmi. – When P.O.P is in a rush, she takes care of the other members’ hair. – When she was a trainee, she felt a huge pressure to sing well and her throat often hurt because she tried too hard. – She shares a room with Yeonjoo and Haeri. – Her birthplace is Anyang, Gyeonggi, South Korea and has moved many times. – Her nicknames are Tteok (rice cake), Pink Princess, Walking Encyclopedia and Bunny. – She used to live in New Zealand. – She likes the number 1, she wants to be number 1 at all times. – She likes touching and hugging members. – She looks like APRIL‘s Jinsol. – She is super loud and energetic. – She is very smart. – Her role model is EXO‘s Baekhyun. 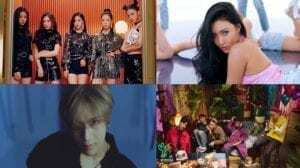 – She is close with the members of Dreamcatcher and would like to close with Red Velvet and Sunmi because she is a fan of them. – She takes care of Ahyung a lot. – She shares a room with Ahyung. – Her birthplace is Bundang, South Korea and moved to Seoul when she was 7. – Her nicknames are Sparrow, Ruru, Yeonru, Disney Princess and Zhang. – She has a dog called Mandu. – She is good at imitating whales, Korean singer Okhee, and Doraemon. – She is good at speaking English. – The CEO says that her voice is very good. – She looks pretty without makeup. – She likes house works and is very clean. – In the last year of high school, she lost 7 kg. – She wanted to go to art high school but she failed. – She gained attention because of her similarity to former I.O.I member, Somi. – She is close with Cocosori‘s Coco and appeared on her vlog. – She appeared in MV for campaign “Daring”. – She is in MV “One for All” made by finalists of “Idolmaster” from team B. – She took part in Japanese 3-episodes program “Real Girls Story”. – She was in final of “Idolmaster Korea” and was supposed to debut in Real Girls Project (she didn’t because she chose to debut in P.O.P). – She had depression (mostly because she failed so many times in music industry, she was on tons of auditions and always failed). – She is close with all members of Real Girls Project but the closest with Haseo. – Yeonjoo said that she is close with LOONA‘s Kim Lip. – Her role model is Beyoncé and G-Dragon and she would like to work with G-Dragon. – She shares a room with Haeri and Miso. – Her birthplace is Yeondong, Chungcheong, South Korea. – Her nickname is Cute Goblin. – She knows Busan dialect, she moved to Seoul to practice dance. – She wasn’t supposed to debut with P.O.P, she replaced girl called Dabin (we can see her during P.O.P’s pre-debut activities in Vietnam or during Daring campaign), that’s why POP’s debut was so delayed. – On 1st August 2017, it was announced that Yeonha has to go on hiatus due to health issues. She is currently undergoing testing to see if she has myasthenia gravis (neuromuscular disease). They’ll be promoting as 5 members for their Puzzle of POP album. 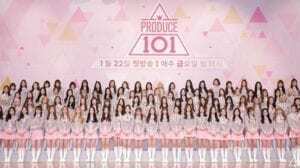 – In 2017, Yeonhwa officially has been withdrawn from the group due to health issues. Who is your P.O.P bias? Their maknae Yeonha has to go on hiatus because she’s being diagnosed if she has myasthenia gravis. They’ll be promoting as 5 members for their Puzzle of POP album. I agree with Miso being the main vocalist, she said it on her produce pop video, but I’m not sure about Haeri being the lead vocalist. Do you have any source for the height, like an interview or something? – She describes her personality as an active and positive person. – She likes to eat a lot because she exercise a lot. I also think that Ahyung and the maknae Yeonha are the best dancers of P.O.P. Yeonha won’t be in the next comeback as well as she is not mentioned anywhere on the Makestar project and Yeonjoo took over the position as the maknae. The profiles on Makestar also say that Haeri and Seol write lyrics. And Haeri mentioned in her sketch book that Miso is really clumsy and drops stuff all the time. Yeonha won’t be promoting with P.O.P in their next comeback as she isn’t mentioned anywhere on their Makestar project. Also, Yeonjoo is listed as the maknae. – Haeri and Seol write lyrics. – Yeonjoo plays the piano. And in her sketchbook episode, Haeri mentioned that Miso is really clumsy and drops stuff all the time. Sorry for being so late! I have updated the profile. Sorry for being late! I have just updated the profile. Thank you! I have updated the profile. Her birth name is Park Jihyun!!!!!! She is great in maths, she remembers Pi number to 46th decimal place, easily remembers bank accounts’ number, birthdays, telephone numbers etc. Her real name is Jung Yeonjoo!!!!!! Thank you so much for all the facts! All of them have been added to the profile. Thanks for all the facts! Thank you for the fact ! !